PetHangout is getting your pup ready to pull the sleigh with our Rudolph Doggie Sweater from our Cool Dog Sweaters collection. Made of 100% combed cotton for extra warmth. 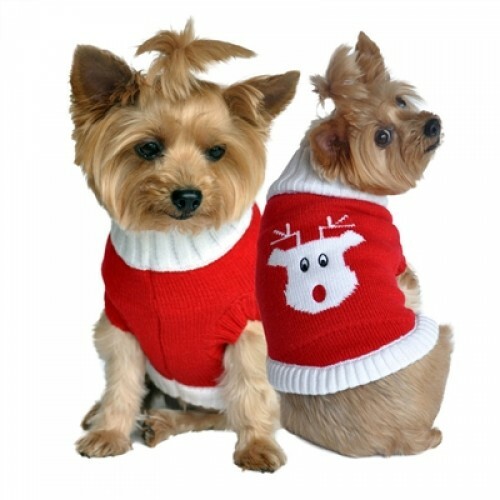 Your pup will look so festive and cozy by the fire and Santa’s favorite for sure! Will be a crowd pleaser during parties! PetHangout would like you to check out our 5th Avenue Sweater and Brown Argyle Sweater too!